It's definitely summer here in Texas. 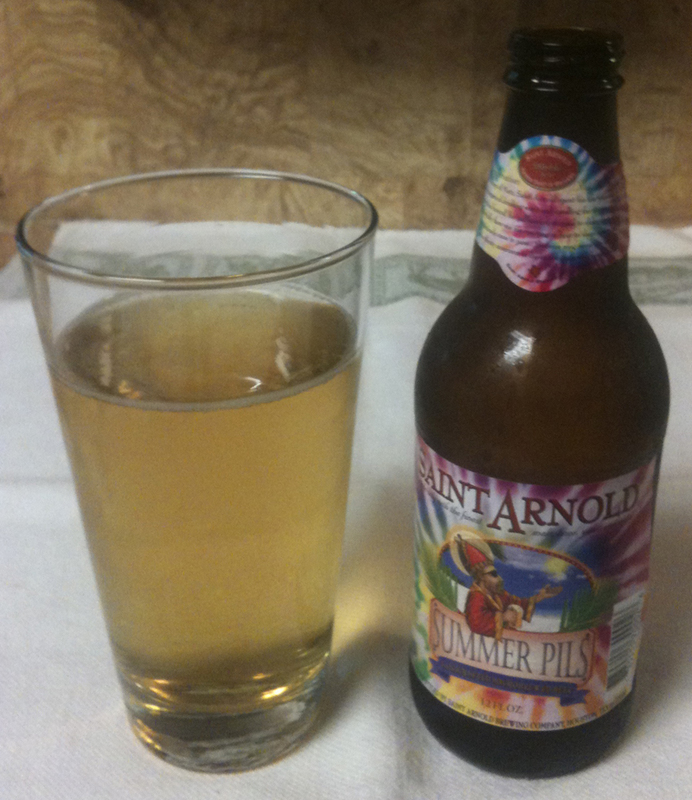 So time for a Summer Pils from Saint Arnold Brewing Company. Twelve ounce bottle. The web site shows 4.9% ABV and 41 IBUs. This is a seasonal, available May through August. Poured with a thin, white head. Beer color is a pale to medium yellow. The aroma is very mild, almost nonexistent; touches of citrus, grain, grass. The taste is better than the aroma. 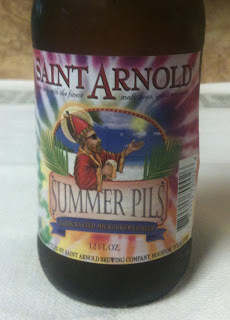 Has some nice strength for a summer pilsner. Fair amount of malt and a nice mouth feel. Grain and grass. Seems to be just a hint of spice in the background. Very little aftertaste. Not complicated, but very refreshing. I enjoyed this more than I do most pilsners.